Every organization - including your Grange - wants to stand out in the crowd. Hosting events, and then marketing those events to the community, is one way to help Granges do just that. Most people attend community events for one of two main reasons: to network with like-minded people or to be entertained or educated. No matter what type of event your Grange is hosting, it’s of critical importance that your event be relevant to your target audience and those in attendance. Whether you are hosting a large event, like an Agricultural Fair or Festival, or a smaller event like a quilting workshop or a Zumba class, Grange event marketing needs to be an integral part of promoting your Grange. Events are memorable, make an impact, and offer a unique opportunity for the public to see your Grange up close and first hand. 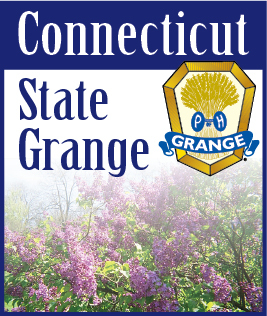 Events draw people into your hall, and showcase what your Grange is all about - as a local organization, as well as a national organization. Here’s a few suggestions to keep in mind when planning and marketing your Grange events. 1.) Set realistic attendance and outcome goals, and develop a plan of attack. Don’t expect hundreds of people to walk through your doors when realistically that number may only be 50. Setting attainable goals will not only save your Grange money, but allow your members to easily work and manage the event without being disappointed. 2.) Incorporate a strong and creative theme. Incorporating a theme into your event will give your members a starting point when brainstorming ideas. It also sets a baseline for your marketing strategies. Just don’t go too far, as that can be seen as gimmicky, and can distract from your Grange’s message. In those instances, people remember the gimmick instead of what you want them to remember – your Grange organization! 3.) Engage with your community. People seek personal connections. These connections can be a recipe for new members and build “brand loyalty” – or in this case - “Grange loyalty.” Face to face interaction is one of the best ways to establish and build your Grange. People can sense enthusiasm, but on the other side of the coin, can also sense negativity. What your members are expressing to others about your Grange is important as it can attract interest, or send people running in the other direction. Give them your best Grange pitch, inquire about their needs. In other words, spark a conversation. When your members are promoting your Grange in a positive, yet realistic light while interacting and engaging with others, then your Grange reaps positive benefits. 4.) Be sure your event leaves a good impression. Details matter. Make sure your event is organized, and that your staff is clear on their positions and purpose. It is better to host a smaller event that is well organized than a larger event that leaves a bad impression. Remember - the public sees your Grange as one organization, not as each individual. It’s all about quality over quantity. Events - when successful - are a worthy investment and a critical part of marketing your Grange to the public. They offer a unique way to reach others about what your Grange has to offer. With a well-executed event, your Grange becomes memorable, and your event an experience worth remembering.